Board Member - Community Mainstreaming Associates, Inc.
Eve Green Koopersmith is a Partner Director of Garfunkel Wild, P.C. 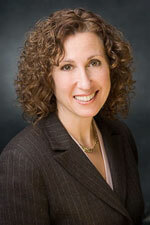 She joined the firm in 1994 and is head of the Discharge Planning and Elder Law Practice Group. Ms. Koopersmith's practice includes discharge planning, elder law, guardianship proceedings, Medicaid planning, litigation on behalf of hospitals and nursing homes, general health care and regulatory matters and compliance issues for nursing homes and home health agencies. With particular experience in patient rights issues relating to hospitals, nursing homes and home health agencies, Ms. Koopersmith is frequently involved in matters concerning advance directives and life-sustaining treatment, discharge planning, retention and treatment issues for psychiatric patients, and assisted outpatient treatment matters. She also regularly advises hospitals and other providers regarding the confidentiality of specially protected records such as HIV, alcohol/substance abuse and mental health records. She also works with families of Special Needs individuals, establishing Supplemental Needs Trusts and advising families on Medicaid matters and other governmental benefits. She also has represented organizations devoted to working with special needs children. Ms. Koopersmith serves on the Board of Directors of Community Mainstreaming Associates, Inc., a not-for-profit organization providing services to persons with intellectual and developmental disabilities. Ms. Koopersmith has lectured for the New York State Bar Association, the Association of the Bar of the City of New York, Lorman Education Services and Behavioral Health Care Management Institute. She is also a contributing editor of "Guardianship Practice in New York State," published by the New York State Bar Association, and the "Legal Manual for Physicians," published by the The New York State Bar Association and Medical Society of the State of New York. Ms. Koopersmith received her B.A. from Cornell University in 1979 and her J.D. from American University, Washington College of Law, in 1982. Co-authored chapter of Legal Manual for New York Physicians (Third Edition), entitled Life-Sustaining Treatment Decisions.